Ethiopian opposition rebel fighters to be disarmed, demobilized and reintegrated into society and government seems to pay for it. According to Fitsum Arega, the program is part of the agreement between the Ethiopian governments on the one hand and armed opposition groups which were based in Eritrea and elsewhere. Project coordination office is opened in the office of the prime minister and it is tasked with ensuring successful reintegration of demobilized and disarmed rebel groups. Tesfaye Yigezu is named as head of the project office in the office of the prime minister, according to the Chief of Staff in the PM’s office – Fitsum Arega. Details of the extent and form of government support are not spelled out. Estimate of number of demobilized rebels to benefit from the program is not disclosed either. What is known is that Amhara Democratic Forces Movement (ADFM), Arbegnoch Ginbot 7 Movement, Ogaden National Liberation Movement (ONLF) and Oromo Liberation Front (OLF) are among the armed opposition parties whose forces will benefit from government funded reintegration program. However, it is anticipated that the project will have employment program albeit it is unknown if the rebel forces could also be integrated to local militia or even into the defense force. Leaders of the aforementioned parties reached an agreement with the government of Prime Minister Abiy Ahmed to end their armed struggle, return to Ethiopia and embark on a peaceful struggle to achieve their political goals. OLF, and ONLF leaders and their spokespersons have already returned to Ethiopia. There has been a concern among Ethiopians about armed rebel forces returning to the country following incidents of killings of civilians in Oromo region of Ethiopia. In the last two months, the Ethiopian government has been dealing with security problems and illicit trade in firearms in different parts of the country and claiming that it has recovered hundreds and thousands of firearms. 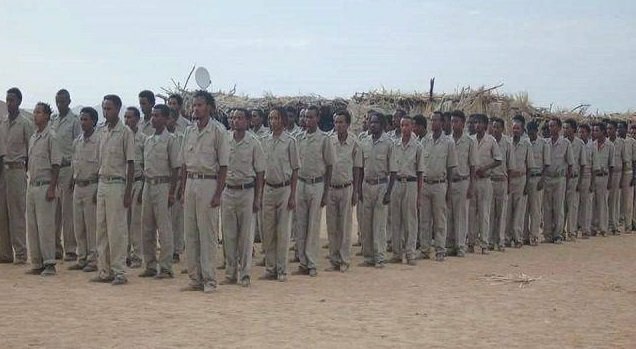 Meanwhile, an Eritrean news source (ER) reported today that Ethiopian Intelligence Chief, Adem Mohammed, is in Eritrea holding talks with Tigray People’s Democratic Movement (TPDM) – the largest rebel group among those based in Eritrea. About six or so years ago, this rebel group was said to have about 20,000 well trained and well-armed fighters. As is the case with the rest of the Ethiopian rebel forces, the Ethiopian government is likely to require TPDM to disarm and demobilize if they are to return to Ethiopia for unarmed struggle.